This cake was made for a friend of mine called Andri. She wanted a simple decoration. 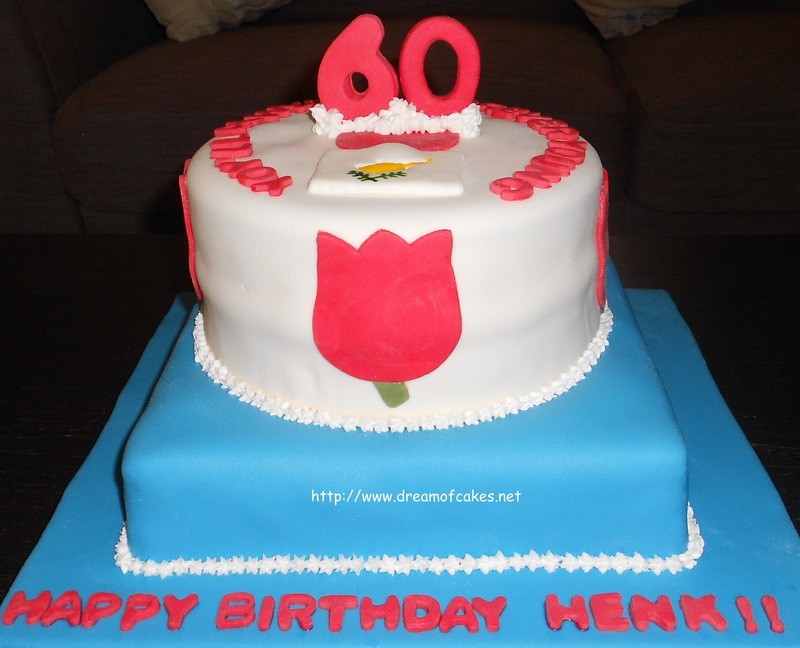 This, double tier cake, was made for a gentleman called Henk. As I was told he looks younger than over, so on the top tier was written "You will always be forever young!" Demetrios celebrated his first birthday a few weeks ago. His mother wanted a winnie thyme cake for him. My niece, Markos, celebrated his 11th birthday on the 25th of November. 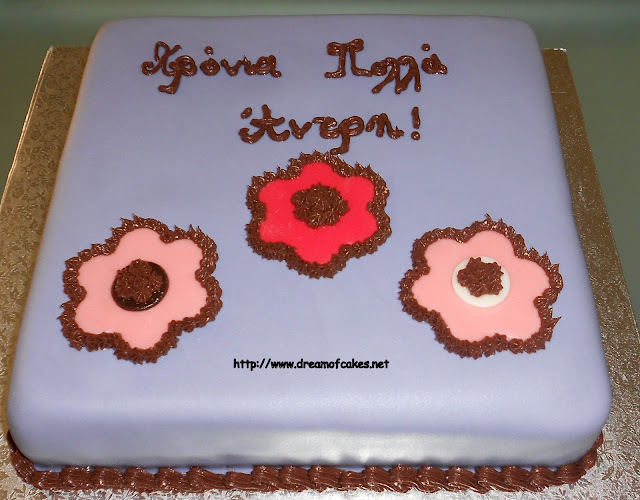 All your cakes look beautiful Eftychia , very clean work . What fondant do you use ? . I always use the marshmallow one . Thanks for your nice comments. I use marshmallow fondant from time to time, but I usually make my own from scratch. I have the recipe on the "How to". I Absolutely agree - all your cakes look very beautiful and very professional. Your cakes are great! Beautiful work! Very nice cakes! My son asked me to make him the same cake that you made for Markos. He said it's "cool cake"! :) Kids! I love all of your cakes. You sure put many hours into details! 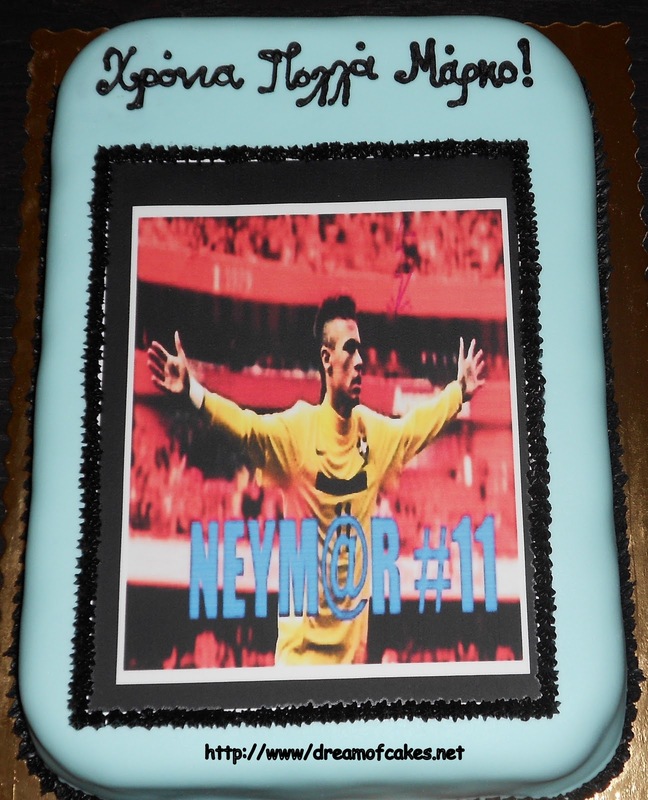 Eftychia, terrific work here on this array of birthday cakes. Your fondant work is smooth and lovely! Thank you for sharing these visual gems. Always terrific cakes.....I bet they were delicious as well as beautiful! Thanks for the post. I am thinking of trying to use fondant for my cakes. It just looks so neat and smooth. Maybe a tutorial on fondant decorations soon? Gorgeous cakes! You are super talented and make amazing pieces of art that I'm sure taste delicious! 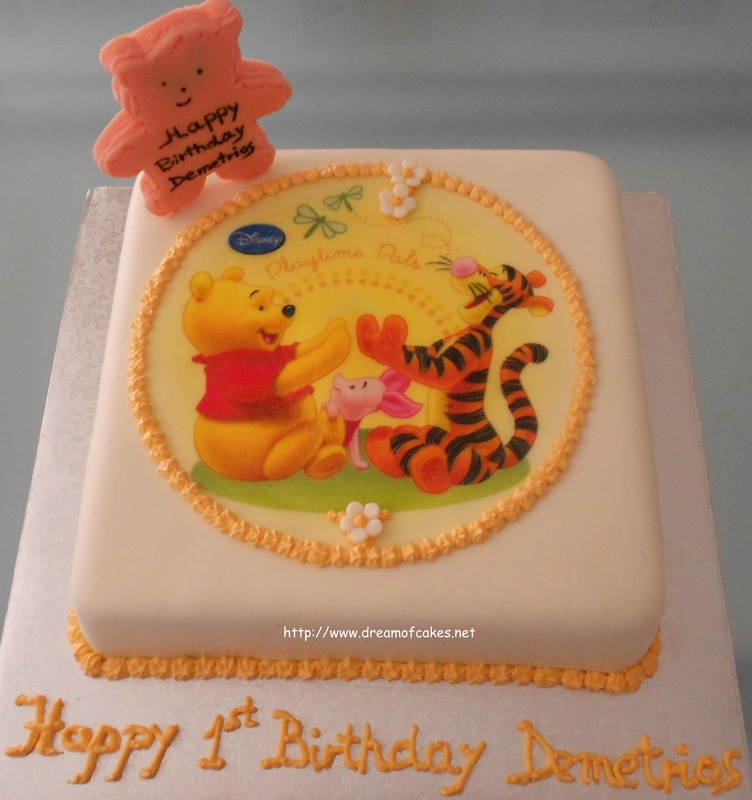 I love love love the Winnie the Pooh cake, how adorable! But all these cakes are awesome! Bravo Eftychia. Your work always amazes me. E, it's been such a long time since I've had a little time to stop by some of my favorite blogs, including yours. I just love your cakes and these are so amazing. You really should make a cake book of all of your work!! Love these gal! These look so amazing, but I have to tell you-Demetrios has the best one, love the pooh and tigger! Makes me wish I had something cute like that for my birthday when I was little. You are so talented! You are so talented! I always enjoying seeing your fun and beautiful cakes! They're all such beautiful cakes! So great to be part of their special occasions with lovely cakes. Hello! just dropping by to say that your cakes look really beautiful! :) They must taste great too!